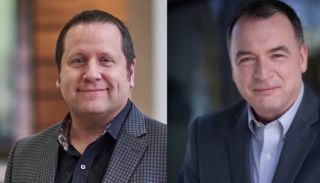 Matt Czyzewski (left) and Steve MetzgerBiamp Systems has announced that Steve Metzger, president and CEO, is stepping down and Matt Czyzewski, COO, is designated his successor effective January 1, 2017. Metzger is leaving to relocate his family back to his beloved Southeast. During Metzger's seven years of leadership, Biamp has grown, having introduced a wide range of product families and services. With a focus on people, quality, and service, he leaves Biamp in Czyzewski's hands well-positioned for continued innovation and growth. "Biamp is, without question, the best company I could have ever hoped to be associated with, much less lead. It is full of smart, caring, and hardworking people who are laser-focused on the customer experience," Metzger said. "Matt has enormous experience at Biamp and the respect of the industry. I have every confidence that he will elevate both in the years to come." "On behalf of the board of directors, it is with pride I express our utmost confidence that Matt's leadership will build on the values of Steve Metzger, values that distinguish Biamp Systems Corporation and inspire our team," said Norm Kidder, director, Biamp Systems; president and CEO of Lomar Corporation. "We thank Steve for his proven track-record of accomplishments, recognize and thank his family for supporting Steve's many years of dedicated service, and most important, look forward to enjoying our lasting friendship."